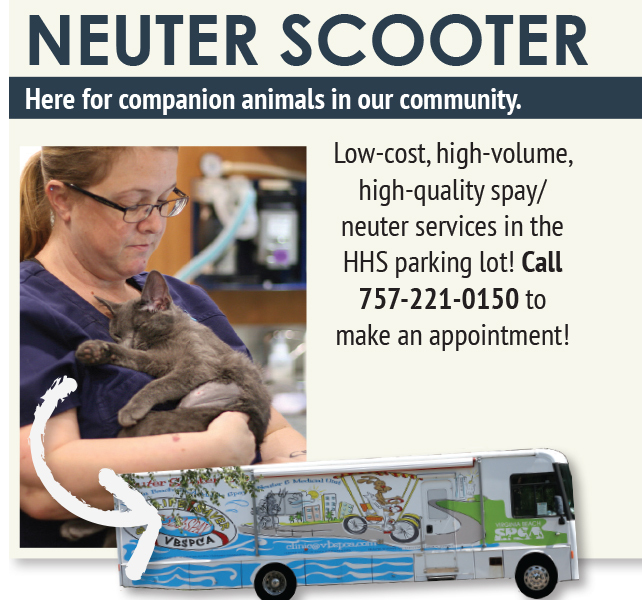 Heritage Humane Society is excited to partner with Neuter Scooter and Virginia Beach SPCA to provide low cost spay/neuter services to our community. There is also a walk-up vaccine clinic from 11 a.m. – 12p.m. If you are in need of these services please call (757)221-0150 between the hours of 8 a.m. and 5 p.m. to make a reservation. Thank you for helping us spread the word. 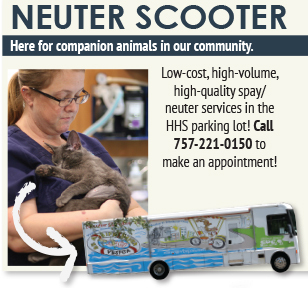 Getting animals fixed us so important to the over-population issues in our area. Please call 221-0150 or email [email protected].org to learn more. Reservations are required for all surgery and space is limited, call 757-221-0150.